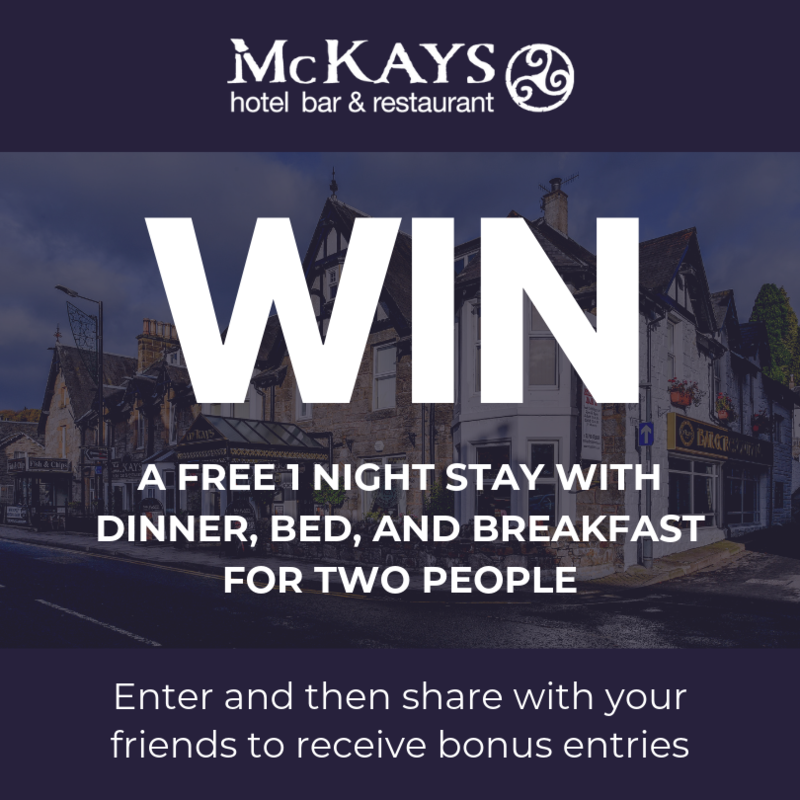 Enter our competition to win a free stay at McKays with dinner, bed, and breakfast for two people. This promotion is managed by McKays Hotel Bar & Restaurant. Participation in this promotion is subject to the official rules.